Sorry if this has been covered already, but is there a kit from Folger to convert my Folger acrylic frame printer to the 2020 aluminum frame? Edited 1 time(s). Last edit at 05/28/2015 01:07PM by Easy. There is an upgrade kit in the works from my understanding. 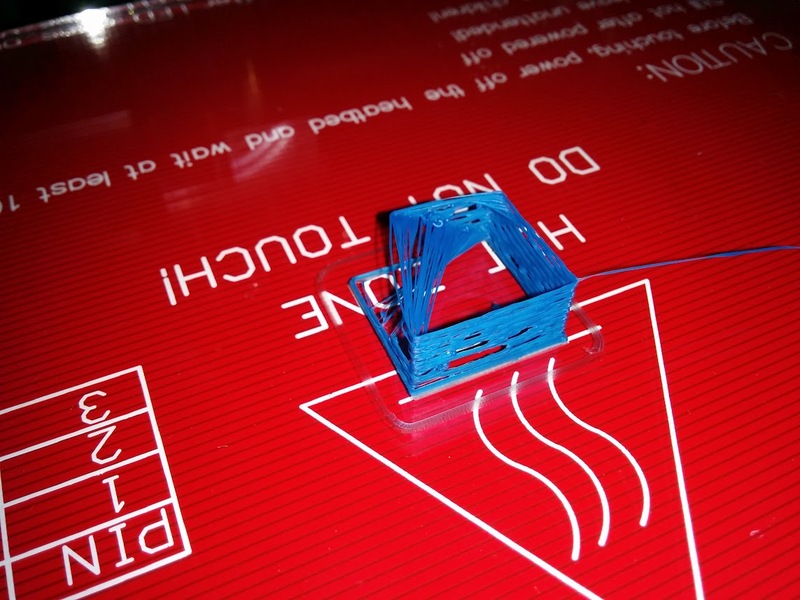 Is anyone else having issues with the extruder stepper motor getting really hot? Hot enough to start pulling the screws through the X-axis slide? I've turned down the driver as far as possible, while maintaining accuracy. Turned the fan on constant. I'm running out of ideas. Edited 1 time(s). 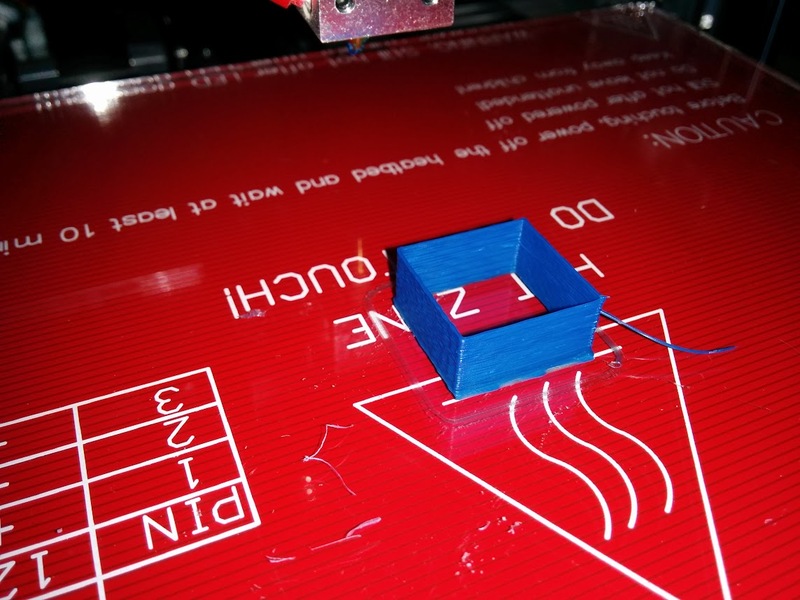 Last edit at 05/28/2015 02:01PM by Devil Inc.
My acrylic frame stepper motor does get pretty hot, not that hot though. ... or not. 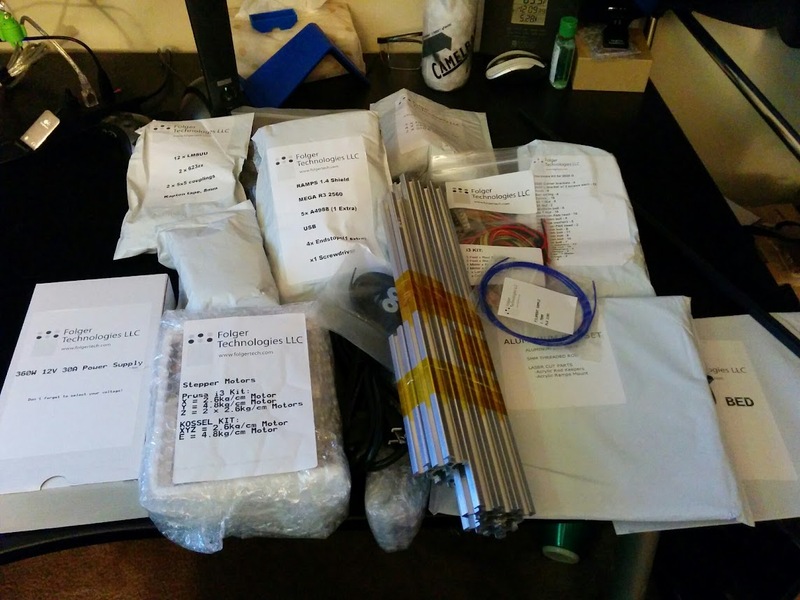 I got the filament today, but with the tracking number for the printer kit. Sorry bud! We are trying to get them out today we are 1 person short this week (not your problem though) and we are struggling to keep up with the printed parts while we wait for the ones from Crunch. I received my 2020 i3 yesterday and have completed the build for the most part. I have a few wires left to deal with, but overall it's mostly done. Found a few spots that I would change in the manual but for the most part it went smoothly. Thanks for making a great manual Dan. A few larger printers could have helped me in a few situations but I made it. So for the configuration aspect, should I be following the configuration guide for the original acrylic prusa i3? Dan, I did see the updated guide, unless it was updated today. As for my extruder motor temps, dialing the current up or down, doesn't make a difference. It's HOT after a 6 min print. I'm going to try the spare driver board tonight to see if that helps. I got the printer all up and running, I had yet to attempt a print. 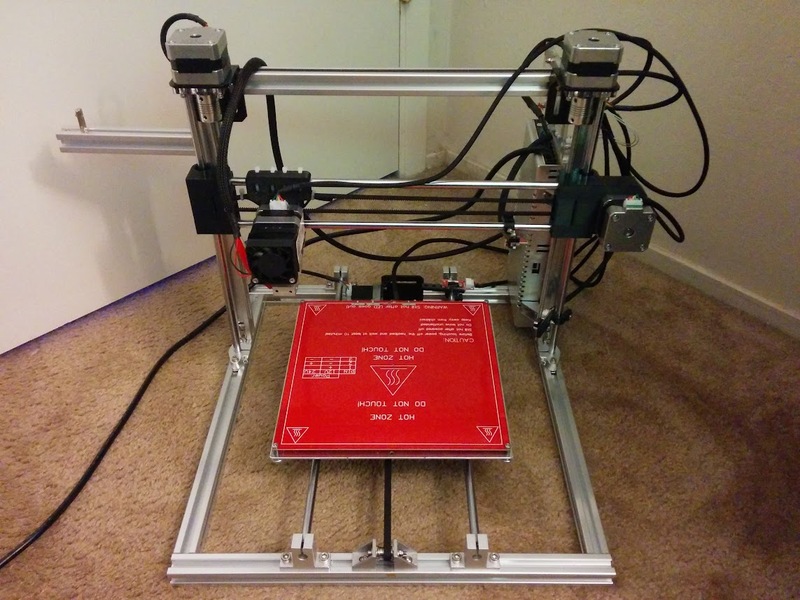 I tested all the features (heat, all axis's, etc) I set all the end switches and was working on leveling the bed. Was having some issues with the x-axis carriage/extrude (I guess is what its called) as it didn't want to stay level... it wanted to change as it was going up. Either way I was working on that and then I sent the Z to home and as it got close to home I suddenly heard a pop and my computer shut down. My computer was completely unresponsive. Wouldn't power up at all or anything. I check over everything on the computer nothing. It's a MS Surface so there really isn't much to check. So back to the printer I look over everything and can't find any problems at all. I tried to identified where the pop was from and didn't see any problems. I check all the connections and nothing is shorted at all, I double checked all the images in the manual and everything was identical. At this point I just assume the computer crashed or something. I'll deal with that later and so I attach it to my other computer. The computer doesn't recognize the printer at all. Can't connect to it or anything. I check the cable, restart everything. Nothing at all. No usb sounds when plugging in the arduino at all. Although the lights come on and everything. If I press the reset button on the ramps it appears to reset (the green led blinks). If I press a limit switch they light up. I decide to separate the Ramps and Arduino to look at it, see if I can get anything out of it. The lights come on, it seems to respond to the reset button just fine. Just no access to it via USB. Upon removal though I did spot a little bit of white stuff on the back of the ramps board. Like if a cap popped or something but the arudino looks perfect. Nothing to my eyes looks bad. So curious if anyone has ideas of what happened and how to fix it? I'm considering going back to work to pick up my spare arduino mega there... just don't want to fry that one too. Swapped out the extrude driver and it seems to be cooler than before even after a 45min print. I have a 2nd fan that I'm going to work into the design to see if I can cool it down some more before sourcing a different extrude motor. Okay, here is a few pictures of the build progression. I guess I didn't take any of it 'finished', but I have a few after the extruder mod and swapping the X axis endstop to the left side. I'm sure there will be more to come. Working on a few things to print. Alright I replaced the board with a known good authentic one I had at work... and got everything up and working. Day 1: 18 hours later (yes I went to sleep, and yes I did other stuff). Currently facing issues with the prints not being too "clean" and the first layer really doesn't put much of a layer down. As for an edit-able first post link, it's usually a good idea to expect posts to freeze after a day or so; the links you put in them can instead go to a page on your own site that you can change, without needed to change the link in the post. Anyone have trouble tightening the SK8 screws to grab the rods? I cranked down on one and the rod still slid right through. Am I doing something wrong? How easy is it sliding? At first I forgot to tighten mine and it moved but after that I tightened it and no movement since. Not sure if I invert the x in the printer software will fix it? Don't really want to re-wire that aspect. I couldn't get the software sorted out to home it to max and offset to 200. I'm new to G-code and Marlin/Arduino programming. I tried for a few days and said the heck with it and moved the limit switch to the left and flipped the stepper motor wires to match the rest. Repetier would home it to the right(max) and set it to zero. I tried following a string of info on Github, but it kept breaking the firmware program. So i switched it the left. Edited 1 time(s). Last edit at 05/31/2015 01:47AM by Devil Inc. The screws that go through the SK8 look like they are supposed to slightly "crush" (?) the SK8 to get it to grab the chrome rods. No matter how I tighten them, the rods just slip right out. This is item 5 of step 4 in the instructions. "Be sure to tighten the tension screws on the (4) SK8's to secure the chrome rods in place." Do you have a set of calipers and/or mics to take some measurements of the SK8 bore and the rod diameter? Thanks - I managed to "convince" the SK8s to grab. On to the next issue I'm having. I have installed the bearings on both rods and the printed guides on the aluminum plate. If I "pop" the rods into the guides, it's impossible to move the bed along the rods. It's as though the printed guides aren't lined up or accurate enough. If I pop two bearings (on one side) into the guides, it's obvious the other side doesn't line up - the rod moves as I slide the bed. Hope critical is it the rods are "popped" into the guides? Can they sit ON them with the tie wraps holding them on? Edited 2 time(s). Last edit at 05/31/2015 01:08PM by markts. Yep. Once again this is something the Folger manual gets wrong. Looks like they haven't fixed it in the manual for the new printer. Just flip the motor cable where it plugs into the RAMPS. You can also do it in firmware but this is easier. Turn off power to the board first. Yeah I tried this and it's still not working properly. It would just go the opposite way of the end stop. Steps I've done thus far: So I changed the firmware and inverted the x axis: #define INVERT_X_DIR false (was true before) Then I changed it to a max-end stop versus a min end stop: #define X_HOME_DIR 1 Then I manually moved the endstop cable from the x-min to the x-max. Now my problem is that technically (I think) when it hits the end stop it should realize that's 200 not 0? So right now in the rep host if I home the X-Axis, it hits the max end stop and then it sets the number to 0. So when I press right it increases the "x number" but it doesn't move (it just increases the x value). It will not go left unless that number is > 0 obviously. Edited 1 time(s). Last edit at 05/31/2015 03:05PM by Tenny. In Repetier if you open Printer Setting and then the Printer Shape tab what values do you have for Bed Left and bed Front? Edited 1 time(s). Last edit at 05/31/2015 03:47PM by Tenny. That's the same thing I couldn't figure out. As I mentioned in one of my previous posts, I attempted to follow a handful of threads on Github, but it bugged the firmware program, and I couldn't follow it to figure out a cause/fix. Ok I got it fixed. In Octoprint it looks like nothing is needed. Now there are ways of changing pins.h so you don't have to do #3 but I prefer to do it this way. EDIT: Ok, yes this fixed the problem. The error i was having after this was another change I set that I forgot about. Edited 2 time(s). Last edit at 05/31/2015 07:56PM by Tenny. I had the same problem getting the SK8s to grab the rods. I applied a tiny piece of kapton tape to each end of each rod and that helped. Edited 1 time(s). Last edit at 05/31/2015 05:02PM by animoose. That's good thinking. I opted for vice grips to compress it slightly. How well do your bearings slide down those chrome rods when it's all connected to the aluminum bed? I haven't attached the bed yet. I'm savoring each step of the construction process . When I first put the bearings on the rods in step 4 they felt graunchy. They are a little smoother after manually moving them back and foward. I've read about this in other forums, so I'm not worried by it.